Sweet Smoke Services | Sweet Deal's Blog! Sweet and smoky? Why yes, the combination does happen and happens quite often here at Sweet Deal! One of our favorite services to incorporate into an event is our cigar station. As part of our Event Planning Division, we’ve set up cigar stations at all types of events: weddings, charity golf tournaments, casino events, and more. At every event it has been at, our clients always report to us that the cigar rolling demonstration was the highlight of their event! We’ve talked about our cigarette girls, complete with their vintage trays filled with retro candies or cupcakes. But what we didn’t reveal was that our cigar rollers and cigar girls are just as popular at special events or promotional parties. Guests at our events always enjoy the aroma of cigars and the high quality of the cigar roller’s education on a wide variety of types, sizes and shapes of smokeables. We provide the cigars, the roller, a hostess and all the supplies needed for the cigar station to run smoothly and effectively. Cigars aren’t only a perfect fit for private parties; they can be that extra something that takes your corporate or promotional event to the next level. By customizing the labels of your hand rolled cigars with your company’s logo, your existing and future clients will walk away with a memory they won’t easily forget. 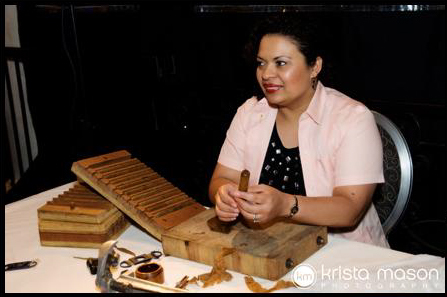 By creating an interactive experience for your guests with facts about cigars and your company, this is the perfect way to grab your guests’ attention and add in a lot more fun to the event! We don’t stop at just the cigar station either! 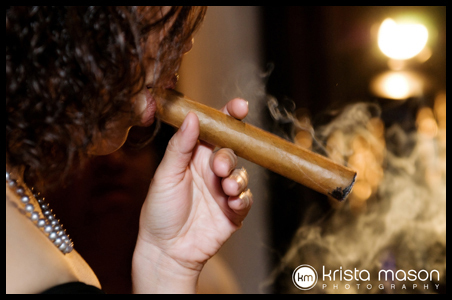 There are always fun ways to enhance the aura of the cigar roller with complementary services. 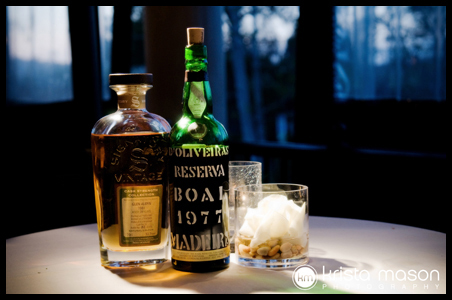 At golf tournaments, our cigar rollers and cigar hostesses have been highlighted by Scotch tastings on the green. A casino event is brought even more to life with a traditional shoe shine and a cigar hostess who will cut and light smokes for the players. The cigar station is a classy addition to your party, and we know it will become the main focus of your event for smokers and non-smokers alike! Email us at info@sweetdealin.com if you’d like any more info on our Sweet Smoke Services! This entry was posted on March 21, 2011 at 3:29 pm and is filed under Creative Marketing, Event Planning, Private Parties, Special Events, Special Services. You can follow any responses to this entry through the RSS 2.0 feed. You can leave a response, or trackback from your own site.